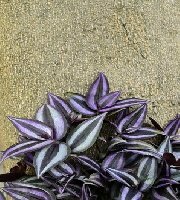 The Wandering Jew (Zebrina pendula) is an extremely beautiful vining houseplant with colorful leaves of all purple undersides and shiny green leaves with silver bands on top. Other types may have leaves that are green and have variations in stripe color, such as pink, cream, and purple. Under ideal conditions, the plant can flower year-round with three small petals ranging from purple, white and even some pink varieties. Decorating with this purple hanging plant plant is a great way to add some pizazz to your decor. The plant is a native of Brazilian and Mexican tropical rainforests. It grows well in temperatures between 60-80 degrees and it likes soil that is kept evenly moist. It is an adorable, fast-growing easy care plant which looks fantastic trailing down from a hanging basket or spilling over the sides of a planter. 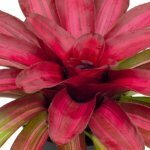 An important part of growing these plants is pinching back the long, vining tendrils to encourage branching and increase blooming and fullness for a more colorful display. Lighting: Bright indirect sun light for abundant flowers and deep vivid colors. Direct sun has a bleaching effect and will cause the purple and cream colors to fade. In addition, the colors will fade if the plant doesn’t receive enough light. The better the light, the richer the color for the flowers and leaves will be. Watering: Water the plant well and then allow the top 2 or 3 inches of soil to dry out before watering the plant again. Be sure not to let the soil stays too dry (especially in bright light), as this will cause the plant to become stunted with faded leaves. Soil: General purpose potting soil that is well-aerated to drain quickly and retain water. You can amend your own soil mixture by adding equal parts of coarse sand, perlite, or peat moss to help with aeration. Fertilization: Feed plant monthly during the growing season (March to September) with a water-soluble houseplant food at 1/2 the recommended strength. Slow release fertilizers can be added to the soil on a yearly basis. Propagation: Plant propagates easily from stem cuttings. 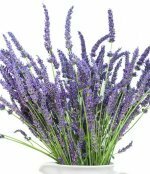 Remove all leaves within two inches of the bottom of the cutting, place stems in water until roots form, then plant in potting soil. Stems can also be placed on top of soil and secured until they take root while still attached to the mother plant. Caution: The sap of the Zebrina pendula plant contains calcium oxalates which makes it slightly toxic! It may cause dermatitis to occur on dogs and certain individuals. Keep out of reach from children and pets.